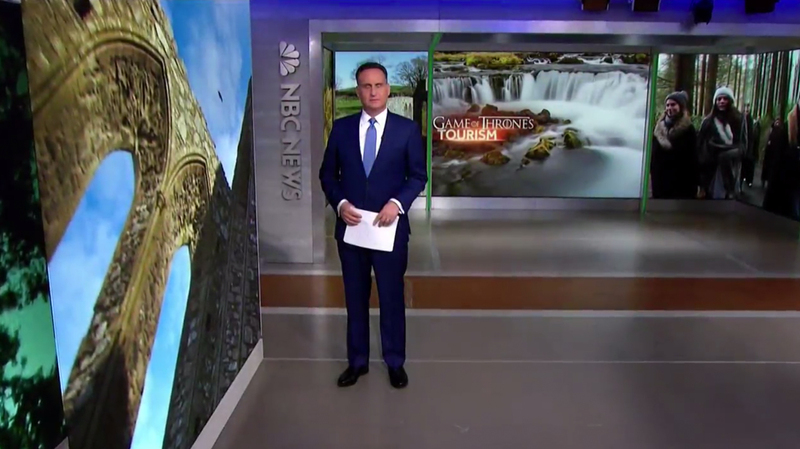 Despite the weekday editions “NBC Nightly News” switching over to angled OTS graphics fed to the broadcast’s on-set video walls, the weekend newscasts stuck with the more traditional style. The broadcast, which was anchored by Telemundo anchor Jose Diaz-Balart both Saturday, April 13 and Sunday, April 14, 2019, started from in front of Studio 3A’s video tower, just like the weekday editions, but then most other stories were introduced with the traditional rectangular OTS overlays inserted over the camera feed by the control room. 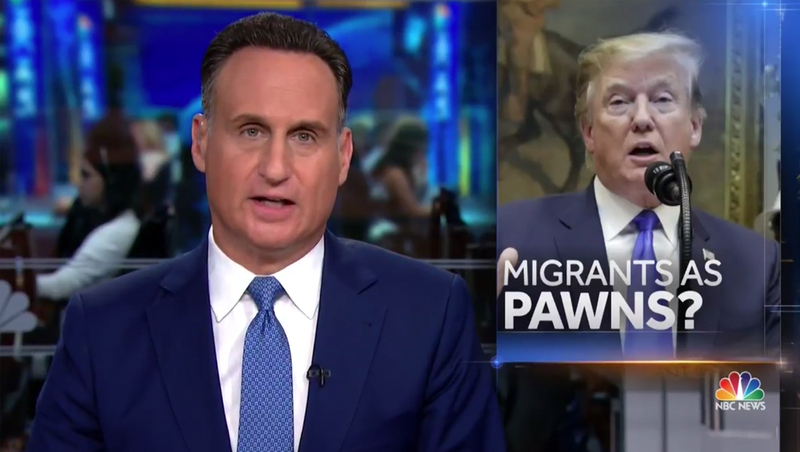 Diaz-Balart normally only anchors Saturdays, but filled in for Kate Snow, who, in turn, filled in for weekday anchor Lester Holt Friday, April 12. “Today” anchor Savannah Guthrie subbed Thursday. The weekday editions Guthrie and Snow anchored stuck with the angular designed that debuted earlier in the week when Holt was behind the desk Monday through Wednesday. For the weekend editions, however, Diaz-Balart was then shown against the small newsroom area adjacent to the set. Here, he introduced most stories using a tight shot with the broadcast’s standard OTS look overlaid on the right side of the screen. 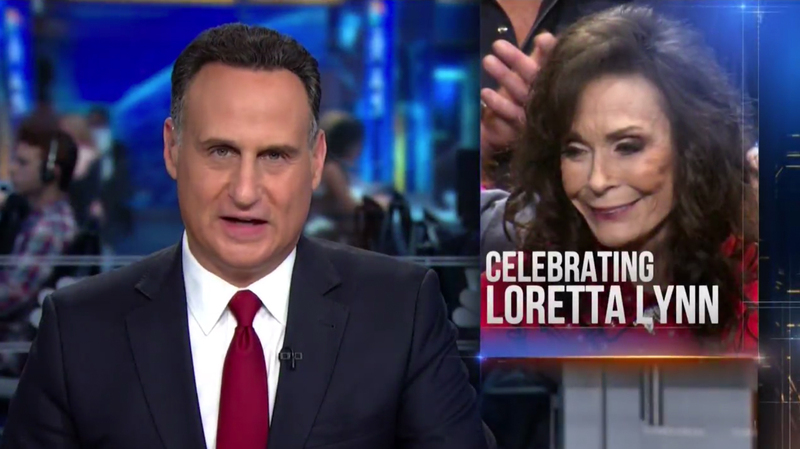 The traditional OTS look was used Saturday for the newscast’s closing tribute to Loretta Lynn. On Sunday, however, Diaz-Balart intro’d a kicker of ‘Game of Thrones’ tourism using a wide push in that incorporated the video tower and finished with him framed agains the studio’s ‘vista wall’ alcove. The traditional, boxed OTS graphics are likely simpler to design and also likely simplify production thanks to less fancy camera moves. 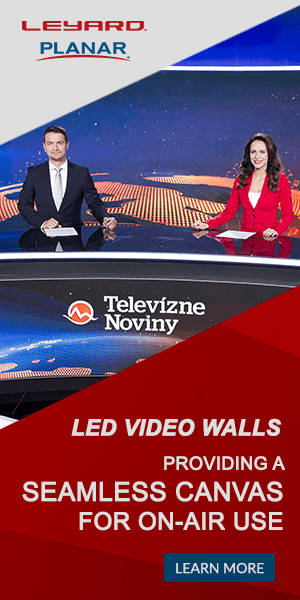 The layouts for these graphics only require simple, portrait-style imagery, as opposed to a full topical background and “main” image needed for the video wall versions used during the week.